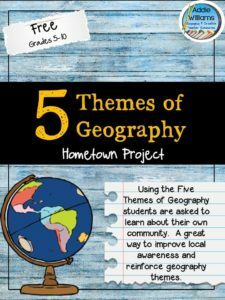 Do your students need practice with mapping skills? 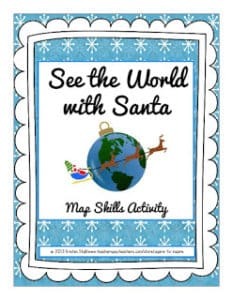 Here is a two-page freebie where students read the directions and create a map like the one shown above. 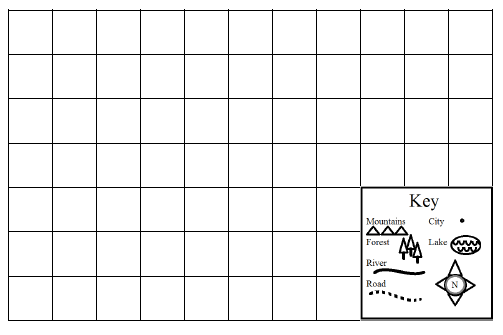 Students begin with a blank sheet of graph paper and a key. 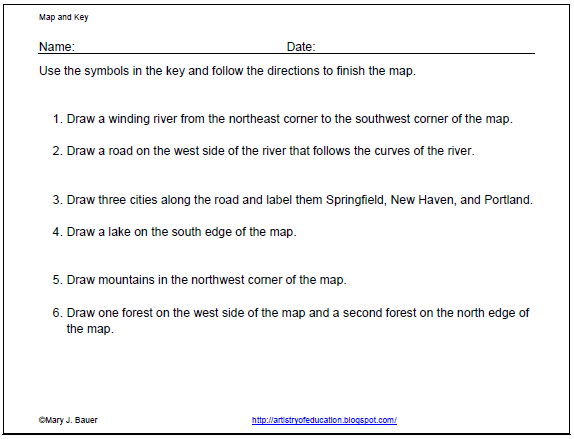 They read the directions and use the symbols on the key to create the map. 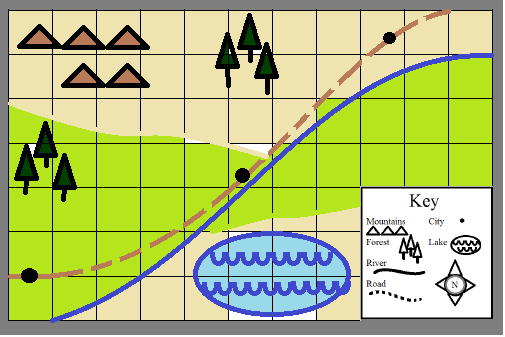 To download Create a Map, please visit this post at Artistry of Education. 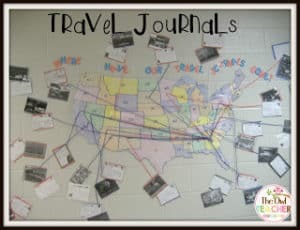 Social Studies and Writing All in One!